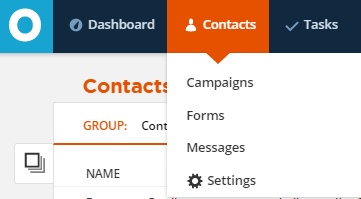 Lead routing lets you automatically assign Contacts to Users in your ONTRAPORT account for followup. Once you’ve created a Lead Router, you’re able add Contacts to it via “add to lead router” Campaign action elements, Marketing Trackers, advanced global rules and legacy form rules. The Lead Router then distributes the leads to your Users. A Round Robin Lead Router evenly distributes leads one by one to each of the users that are in the router you create. Everyone will end up with the same number of leads over time. Weighted Random allows you to set percentages of leads per user. Use this Lead Router if you want to assign a greater percentage of leads to certain users and a lower percentage to others. Of course, you’ll have to make sure that the total is 100. Each new lead that comes in is randomly assigned to a User in the Lead Router, but with the probability set according to the percentages you set up. In the long term, everyone will end up with the share of leads they were assigned by percentages in the settings. I tried to use lead routing for our website! I have added in always-on rules that whenever someone fills in our smart form; our main user of Ontraport will receive an notification Email following what you have showed here. However, that doesn't seem to work. Do I have to create a separate Email in the system for that or is there something else I could do? For your opt in Smart Form, you can have an Always On rule that uses a message to notify anyone you like. You can create the message in the normal way and include merge fields like [First Name], [Last Name], [Email] .... for any of the fields that are on the form. When the Rule sends the email it will fill in those merge fields with the Contact's information ... basically the information they added to the form. This Rule would have to be created on the opt in form itself. It sounds like your set up should work. Go ahead and check with Support; click the question mark at the top right of your account and click on the Chat link. Support should be able to help you configure it correctly!